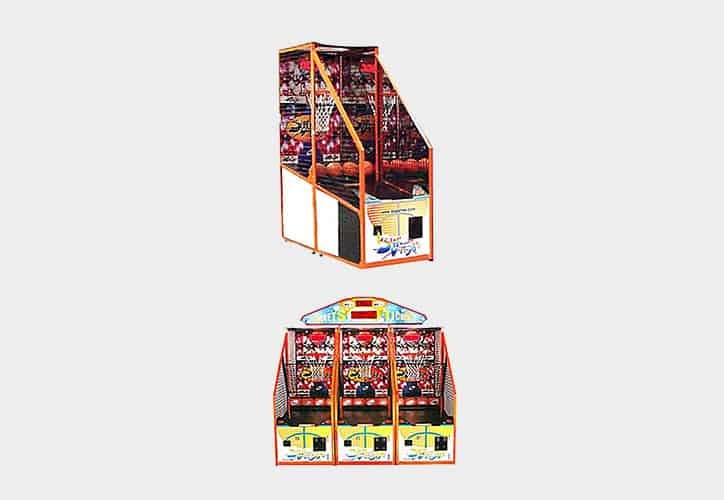 The Slam N Jam Basketball Arcade machine is a basketball sports and ticket redemption game in which players must shoot hoops to score points and earn tickets. Race against the clock to score as many points as possible. Games can be linked for head-to-head competition.